"Soldiers of the caliphate assaulted the 'Wadi Kaam' gate, on the Zliten-Khoms road two days ago, targeting a gathering of apostate security elements" loyal to Libya's UN-backed unity government, the jihadist group said via its Amaq propaganda arm. Six soldiers loyal the Government of National Accord (GNA) were killed in the Thursday attack, illustrative of the insecurity that has plagued the country since a 2011 uprising. 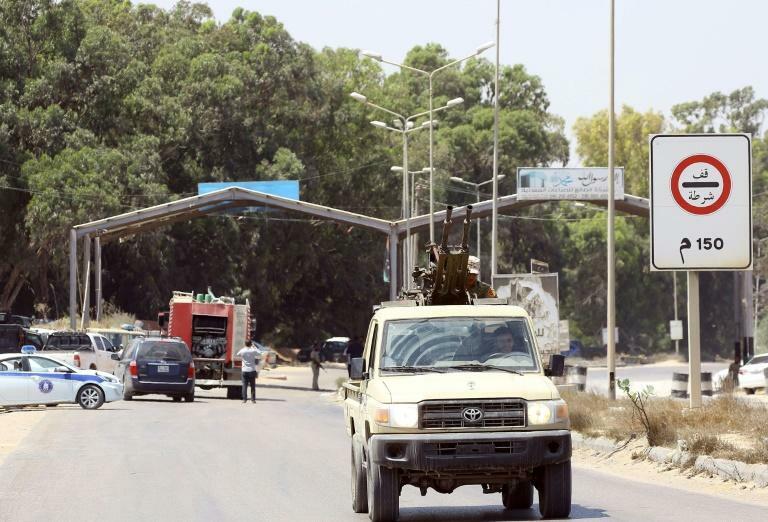 Zliten Mayor Moftah Ahmadi told AFP the assault in the town, which lies 170 kilometres (105 miles) from the capital in an area where IS jihadists are active, targeted special operations forces commanded by the interior ministry. Three men, "armed with grenades and light weapons" led the attack, Ahmadi said. One was shot dead and the other two managed to escape. In an interview Saturday with Libya's private al-Ahrar broadcaster, the unity government's Interior Minister Abdelsalam Ashour said "the perpetrators of the attack were apprehended", without specifying how many people were arrested. Seven years after the 2011 NATO-backed ouster of dictator Moamer Kadhafi, Libya remains divided between the UN-backed GNA in Tripoli and a rival administration in the east, backed by military strongman Khalifa Haftar. A myriad of militias, jihadist groups and people traffickers have taken advantage of the chaos to gain a foothold in the North African country.